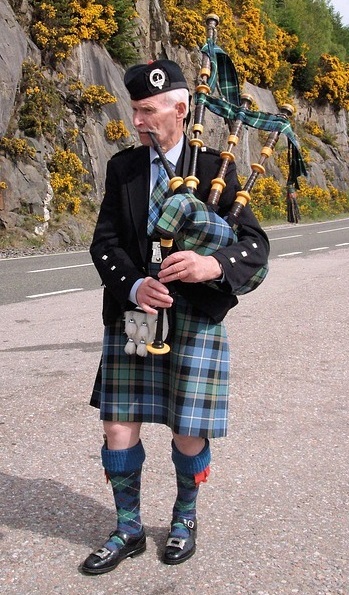 Having recently moved to Scotland, I have discovered a passion for everything Scottish and all the Celtic customs and traditions seem very exciting. I have designed a tea cosy for the forthcoming tradition of Hogmanay. The inspiration for the Hogmanay tea cosy started on a Scottish holiday. 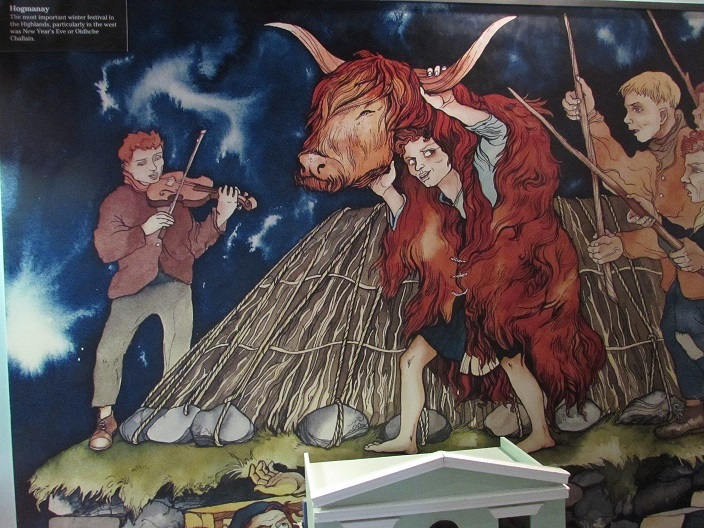 We visited a small museum of childhood in strathpeffer and I found the most amazing picture about the traditions of Hogmanay. 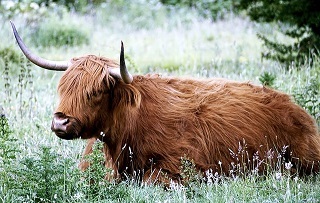 A boy dresses in the hide of a highland bull and dances around the rooftops chanting, whilst other village people hit him with a stick.